Are you eager to book weddings? First, consider this…. In a seasonal business like weddings and events it can be a true test of confidence when one season comes to a close and you’re eager to book next year’s calendar. This year I’m finding couples are booking much earlier for the upcoming wedding season and in fact, my calendar is nearly full. I may only take on 2 more weddings for next year. It’s nice when people plan ahead! Whether your calendar is booking quickly or you don’t normally start booking until November or December, there’s an understandable eagerness to book ’em, and book ’em now! BEFORE booking, it’s important that you’re on the same page with a potential customer…because this relationship has to endure several months of planning. Doubt and uncertainty can lead to unnecessary hassles as a creative business owner and you don’t want to be in a position where you have to constantly reassure a client that you’re up for the job. Don’t sign a contract with a customer you don’t trust, and don’t sign a contract with a customer who doesn’t trust you. 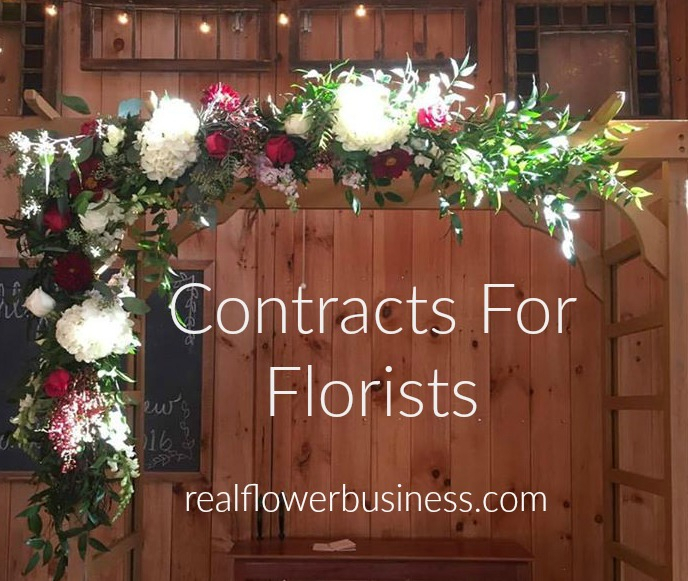 Click to watch: The Importance of Contracts in your Flower Business. Before signing a contract you must have a meeting of the minds. It doesn’t matter if a client agrees to work with you if they question your every move. You can’t invest too much time trying to convince people that you’re “worth it”. The goal is to find clients who choose you for YOU. If you need a proper contract for your clients, I share my weddings & events contract here in my course Contracts For Florists. A good contract should protect you/your business and define the working relationship with the client. Find a full list of my courses offerings EXCLUSIVELY for florists HERE. Building a brand: A look at my most recent attempt at Branding My Biz. Business owners can’t avoid the demands of the day….bookkeeping, employees, product sourcing, insurance, taxes….the list is long. And on top of all the things we “must” do, social media, branding and ideal clients are top of mind for most creative entrepreneurs. Real flower business is what I care about. I’m less concerned with appearing busy and more focused on creating business for myself. Today’s video shares my most recent attempt at branding for my biz. If you’re looking for “more than a business card” you will want to see this branding tip. I am by no means a branding expert. In fact, my lack of expertise in branding may be precisely why I’m well suited to share today’s video with you….because branding is complicated, but it could be simpler than you think. I appreciate you taking a few minutes to watch. YOUR BRAND IS HOW THE WORLD SEES YOU. It may be something you’re doing or saying on your website copy…or through your e-mail correspondence…or via your social media shares…or it may just be that you have too many inquiries to keep up with. If you’re attracting too many potential customers and you need to narrow your field. Thanks as always for reading,watching and now, joining me on Facebook. Find a full list of course offerings HERE! 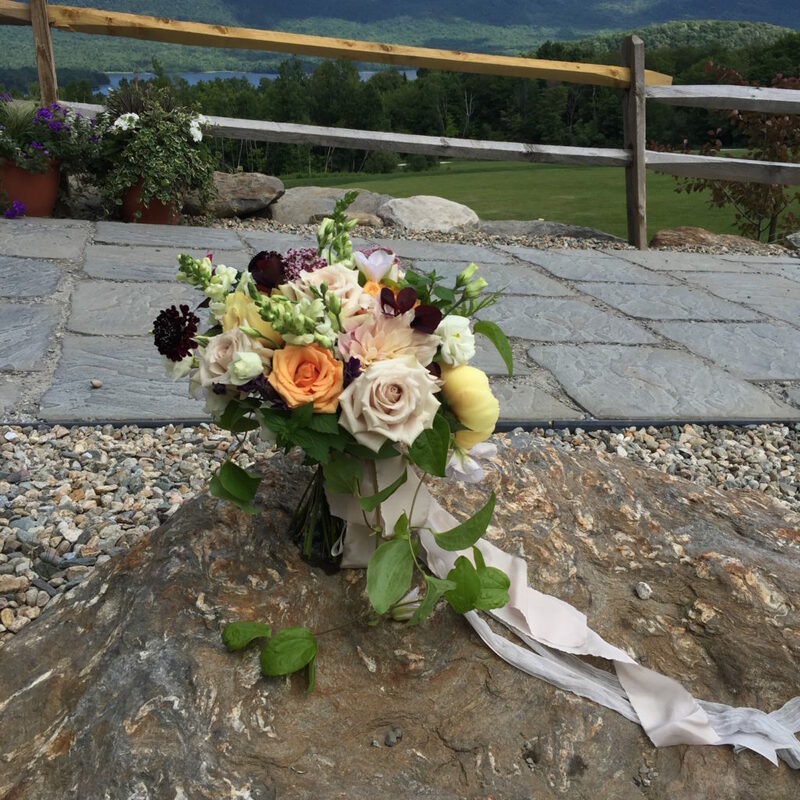 Above is a pic I snapped on my phone before delivering the bride’s bouquet on Saturday. It was worth arriving 30 minutes early to be able to take the time to find a few different spots! Thanks for noticing me! I’m truly happy that you’re here. I’ve been sharing free business education with floral designers for over 6 years now, first on FlirtyFleurs.com and via my YouTube channel, and now on my very own blog. I am passionate about the art of good business. In October 2015 I invited florists to join my e-mail list and in November I released my very first online course, Flower Math, The Florist’s Guide To Pricing & Profitability. I didn’t really have a plan when I created my first course. I knew there were florists who struggle to turn a profit and I knew I could show them exactly how I price my work & create recipes to ensure my profit margins. It felt like a big risk to share such an intimate behind-the-scenes look at my process, but it was all very organic (aka genuinely from my heart!) so I had to move through any worries or doubts about whether this was a good idea and just do it! I didn’t have any intentions to create more courses. I thought Flower Math would be “my only course” because I hadn’t considered teaching any other topics. Over the past year my e-mail list has grown to nearly 900 subscribers and a few months ago, I started a Facebook group just for floral pro’s (which has been pretty awesome and includes almost 900 members…and counting!) and now, here I am, blogging on my newly re-named website: realflowerbusiness.com. This has been a major year of growth and production for me. I’ve never worked quite so hard…and it’s been really rewarding. After I released Flower Math a florist-friend (half jokingly) suggested I make e-mail templates to help other floral pros with tricky or difficult conversations. I thought it sounded brilliant. I love to turn a phrase. At the time I was already about half-way done with a proposal template I’d been working on, so I hopped right on it and about 2 months after releasing my “one and only course idea”, I suddenly had 2 new downloadable courses; 12 E-Mail Templates and How To Write Proposals That Sell. A few weeks ago I released my third downloadable course, Wedding Workflow, which shares 16 Steps To Client Management. This course gives designers a look behind the curtain at my own personal approach to customer service from the initial inquiry to the post-wedding day follow-up and I’m really proud of the value it provides. And now I have my biggest course yet! The Art Of Good Business. This week I’m so excited to announce my newest and biggest course: The Art of Good Business. Floralpreneurs will leave the course with a deeper understanding of who your ideal customers are and how to attract more customers that love you. You’ll develop skills to identify your own unique blend of talents that make up your one-of-a-kind brand by looking inwards and practicing talking directly to ideal customers. Florists will also learn how to better improve website engagement to increase inquiries and improve the overall first impression/first point of contact with potential customers. In regards to customer service, florists will gain valuable strategies around client management, prequalifying customers and creating an outstanding customer service experience. You can read the full details on my sales page here. I call my new course “a digital experience” because I will be walking through the course with you virtually from start to finish. So that’s the word. My “big reveal”. I have a newer, bigger, “more online than ever before” online course and it is awesome! 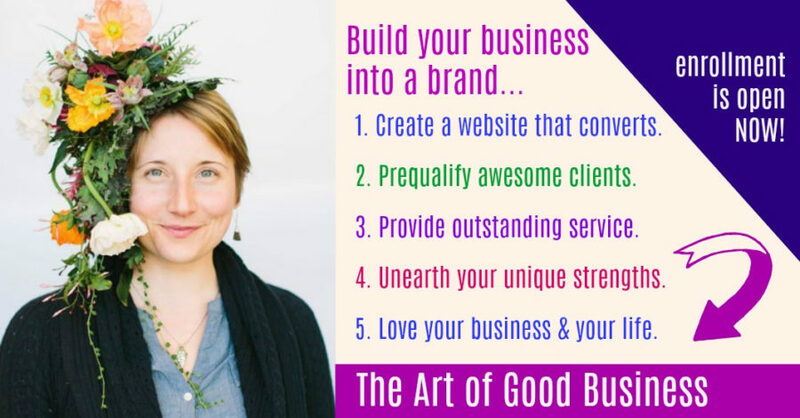 Click here to read what florists say about The Art of Good Business! And…I’m blogging now! So you’ll be able to hop on over here to find the free content you’ve come to know (and hopefully love) from me. Thanks so much for stopping by my new blog! P.S. If you’re a floralpreneur who’s digging my content please share the love with a floral designer you know and love! Have you tried my free courses?